Warm up! As with any physical exercise try warming up first. A series of stretching exercises will loosen the joints. Work up gradually by tackling lighter jobs first which don’t require too much bending. 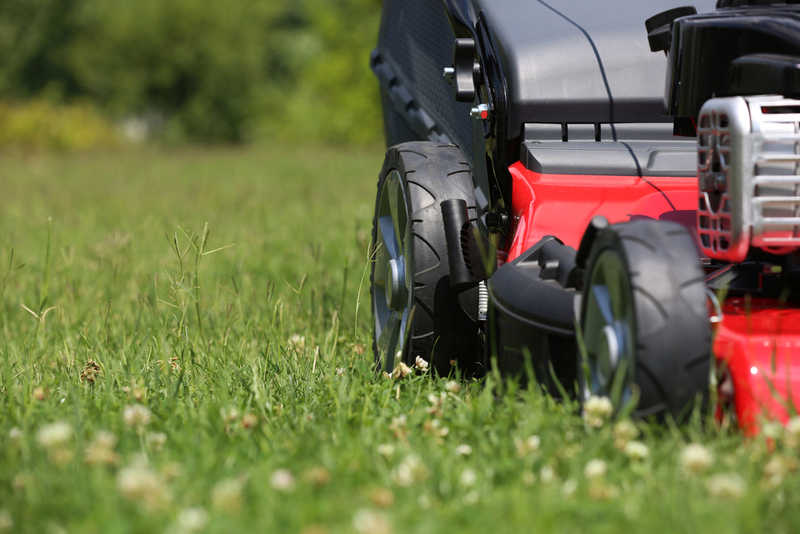 Choose and use your equipment carefully: If you are buying a mower, consider one with an electric starter since pulling a cord requires a jerky, twisting movement which puts a sudden strain on the back. Long handled spades and forks are worth considering for taller people to reduce the need to bend. Remember… sharp blades are less effort than blunt ones! Two-wheeled wheel barrows are advisable since they are less likely to tip sideways. With all models, however, a load placed over the wheel is easiest to handle. Dress Carefully: Avoid tight jeans since they will restrict your ability to bend your knees and hips whilst lifting. Kneeling mats or knee pads can also help by reducing strain on these joints. Wrap up well on cold days to keep your circulation going and your muscles warm. Gloves also help to grip whilst lifting. Mind your movements: If you have to bend, don’t stoop but keep your back straight and bend the knees. Kneeling jobs can be made easier by alternating the weight between one knee and the other, then crouching and finally kneeling on both knees. Adopt a ‘fencing position’ when hoeing or raking – one foot in front of the other, shifting your weight from the back to the front. As a general rule, use smooth, controlled movements rather than jerky ones. If you do feel pain at any time then the golden rule is STOP. Pain is a vital warning sign and should not be ignored. Avoid the temptation to do ‘just that little bit more’. Warm Down: At the end of your session, admire you blooming handiwork, then run through your warm up routine. Have a hot bath or shower to relax the muscles. An ice pack applied to any pulls or strains will often be soothing. If your pain persists after a few days, you may have caused a significant injury and you should consider getting the appropriate diagnosis and treatment. This is where a visit to the osteopath can greatly help the gardener.